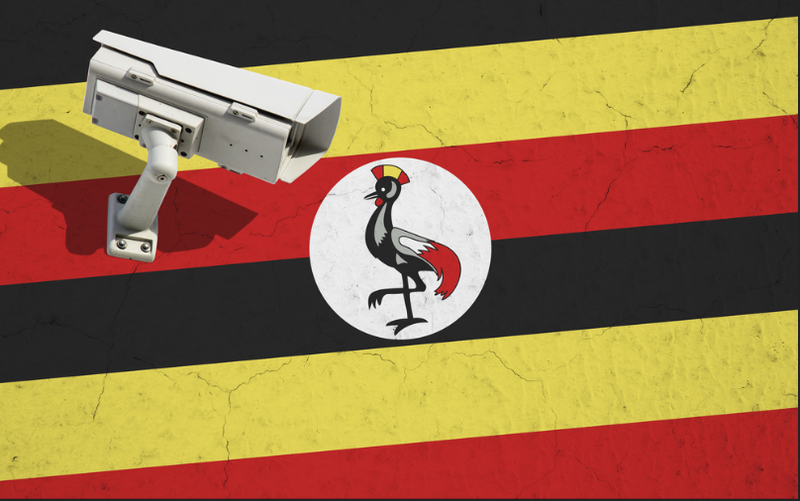 Uganda has introduced new legislation that makes using an app a taxable event, creating a new dangerous precedent for not only censorship but how the internet works. The legislation was passed in May of this year, and it requires internet service providers to block a wide range of apps until subscribers agree to pay a fee per day to use them. The fee might be small to americans or citizens of countries with a high per income capita, but the fee of $.051 per day–roughly $20 a year, is substantial, considering most Ugandans make less than a dollar a day. ISPs like MTN, Airtel, and Africell recently informed customers that popular apps and services like WeChat, Signal, Skype, WhatsApp, and a variety of other popular applications and services would be blocked until the requested payment is made. The payment must be made via mobile phones and if customers pay a month upfront, there is a small discount. Who knew that anyone could get excited about a discount on paying for one’s own censorship? “Access will be granted for a calendar day until 12:00 AM for the day, i.e until midnight if the customer has paid for one day,” reads the notice, according to a public notice posted on TorrentFreak. Like taxes, censorship is becoming increasingly common around the world in places like Russia, China, Egypt, and Iran. Even in the US, citizens are dealing with the consequences of abolished/repealed net neutrality laws that majorly impact how internet is used and paid for. In all of these places, we are seeing an uptick in VPN use to get around geo-restrictions, blocked content, censorship, and privacy leaks. Now, in Uganda, more and more users are turning to VPN as well. However, the Ugandan government was quick to notice the sudden spike in VPN popularity, or perhaps they already suspected the outcome of their legislation. Now, ISPs are not only making most used apps and services taxable occurrences, but they are also being forced by the government to now block VPNs since users are using VPNs to circumvent the internet tax. But the Ugandan government isn’t dumb. They realize they can’t block EVERY VPN out there, which would cause them to lose money. 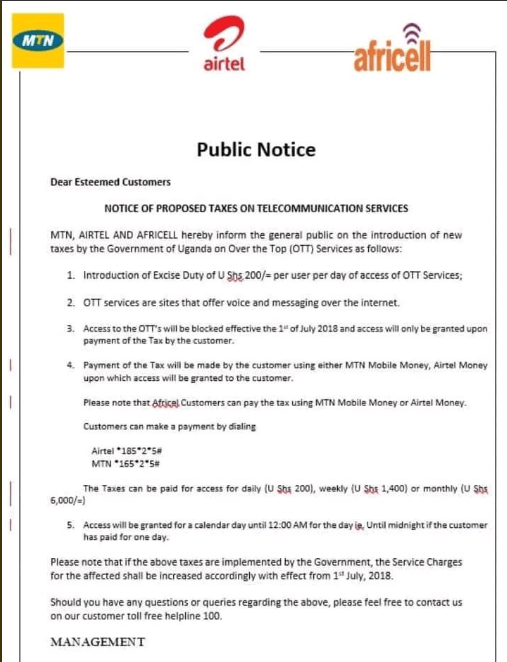 So now, they are trying to release propaganda and “information” explaining that VPNs are simply too expensive to make them worth using to avoid the Ugandan tax on apps and services. Ugandan Communications Commission Executive Director has come out saying that ““If you think it is cheaper to use VPN than paying Shs 200/day, I think it is very unwise to think that because the data consumption under VPN is very high, I think you’re aware of that,” his post reads. Ugandan internet users are obviously not happy with having to pay money to use apps and services while they already have to pay for internet through their ISP. Opposition on Twitter is trending and many users are calling for a boycott.